Thanks to Apple’s revolutionary iPhone and the imitators that followed it, banking is on the cusp of profound change and Cupertino has a chance to embrace it. “Banking as we know it is finished,” said Nigel Green, CEO of deVere Group of one of the world’s biggest financial advice companies today. His statement comes as a people from across the fintech sector meet at the Innovate Finance Global Summit (IFGS) to talk about the future of the industry. The event, led by a keynote speech from Sir Tim Berners Lee, has a big focus on mobile and digital with a focus on inclusion and on enabling services that benefit communities. Meanwhile, digitization means upstart firms like deVere, Apple, or even PayPal are slowly chipping away at traditional financial businesses – and the sector remains in dire need of good ideas. One way traditional providers seek to navigate this more complex environment is to change their approach. Some of Australia’s banks recently lost in their attempt to force Apple to open its TouchID technology to support services from them. And while it is easy to characterise the big tech brands as the main foe of former fintech giants, the true competitive landscape includes crowdfunding strategies, big brand retailers, mobile telcos, and small, agile, vertical-focused competitors. Even fintech infrastructure is changing, with blockchain innovation underpinning development within the market. Facebook chatbots may seem trivial but they are likely to represent the consumer front end of banking within three years or so. You’ll speak with these AI-driven machines to manage your finances, and – as the tech improves – your requests for mortgages, loans, or credit cards will be handled in real time primarily by machines. (In truth, that’s how such requests are already handled). There’s a danger to this, as Berners Lee warned IFGS this morning, in that AI-driven businesses may be difficult to regulate, and machine intelligence is not designed with any moral understanding of nuanced expressions such as “fair”: fair competition, fair dealing, or fair treatment are difficult to define within algebra. "We have to think about the effect on society in a highly connected, networked world,” he explained. On the surface all of this may seem to have very little to do with Apple, but that’s not the case at all. Sure, while the most popular mobile payment system may still be SMS/MMS, we spent around $20 billion using Apple Pay last year and most analyses indicate this will double within the next 12-months and become far more prevalent within three years. (Just look at its success in Taiwan). Apple can’t be complacent, of course: the conflict with those Australian banks shows how deeply competitive fintech markets are, but with money exchange at the center of global business, then it can unlock success by developing new systems, software, and partnerships that combine to create a viable framework within which it can support next-generation financial services. What I’m saying here is that relatively soon I expect to be able to tap my AirPods and ask Siri to arrange a new mortgage or extend a loan. I will be able to ask it to identify and recommend me the five life insurance packages most perfectly aligned to my personal needs. I also expect the interaction to be secure, personalized and equally as private (against criminal or state surveillance) as any similar request I might make in a bricks & mortars bank. 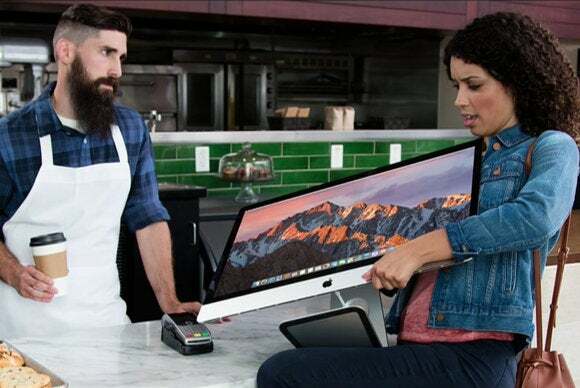 As Apple Pay expands worldwide this year I’m in no doubt that we will see the number of services provided through Apple’s nascent mobile banking system expand, even as the personalized nature of what it can achieve improves. Things have come a really long way since I first warned your iPhone would become your wallet.